Cash, Cheque, Money Orders and Credit Card payment buttons are available for Accounts, Contacts, Opportunities and Campaign Members tabs. 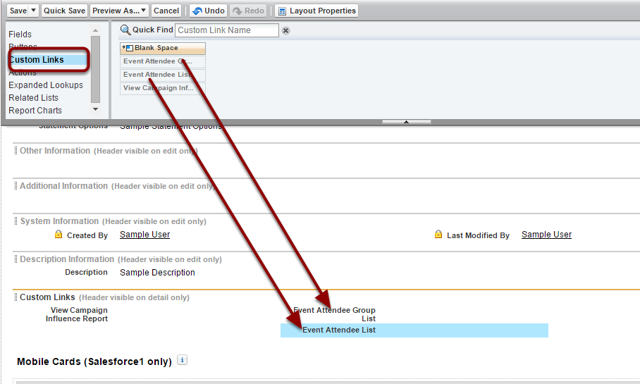 For other objects and custom objects, custom buttons can be created by administrators. To see how to do this, please see the salesforce.com online help. 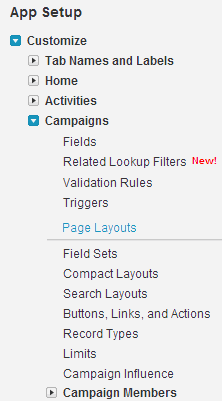 For Campaigns, there are buttons and links to manage events registration and annual statements. Statement Send Button - Generates and sends the annual statement to the related contact. Add Event Attendees provides a way of adding new attendees to an Event.